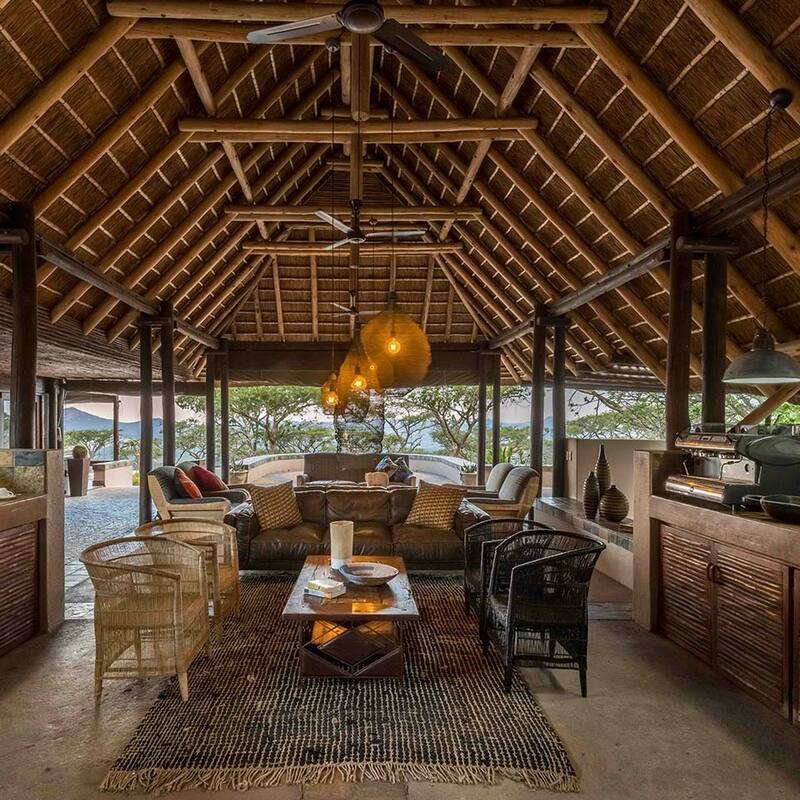 Guests receive a warm African welcome as they step into the cool, open-air reception area of the expansive Main Lodge. 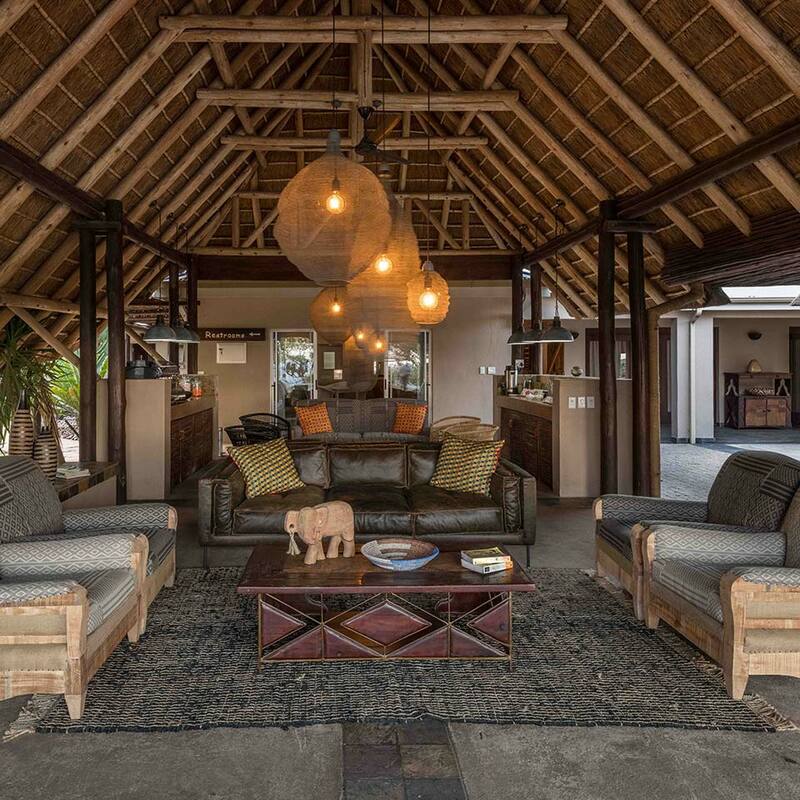 The sounds and smells of the bush are carried in on the breeze, wafting gently through full-length glass sliding doors into a spacious thatched restaurant. An enormous wooden deck steps down into a large Infinity Pool which provides one-of-a-kind views of the Lowveld’s rolling hills and valleys. 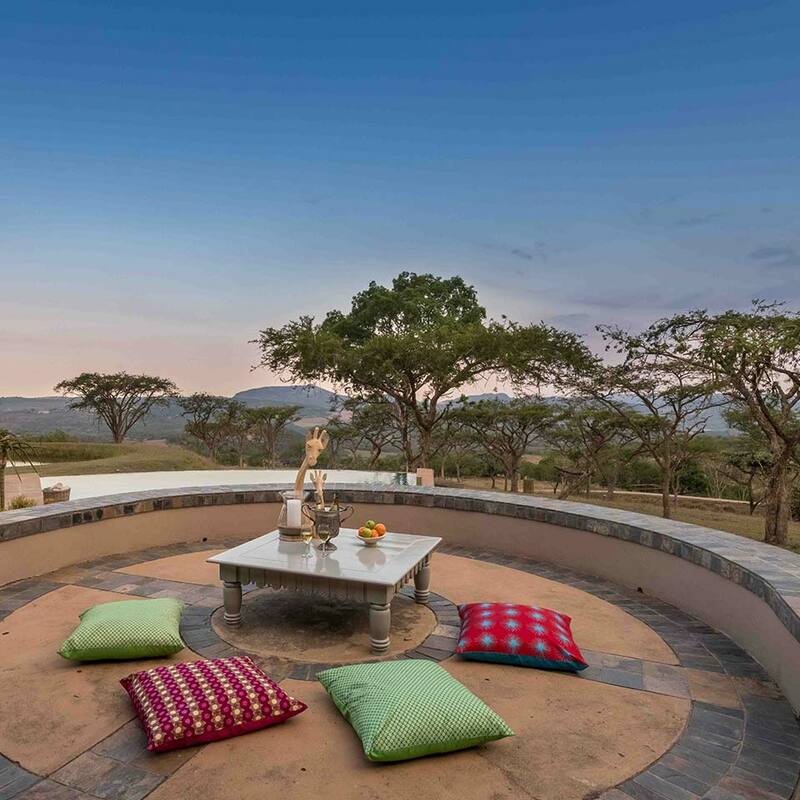 Furnished with modern ethnic decor, our open-air lounge provides the perfect spot to complement the scenery with a sunrise coffee or sundowner cocktail… Or simply a relaxing space to bask in the stillness of the mild winter sun or provide the perfect perch from which to observe the spectacle of the mighty summer thunderstorms.